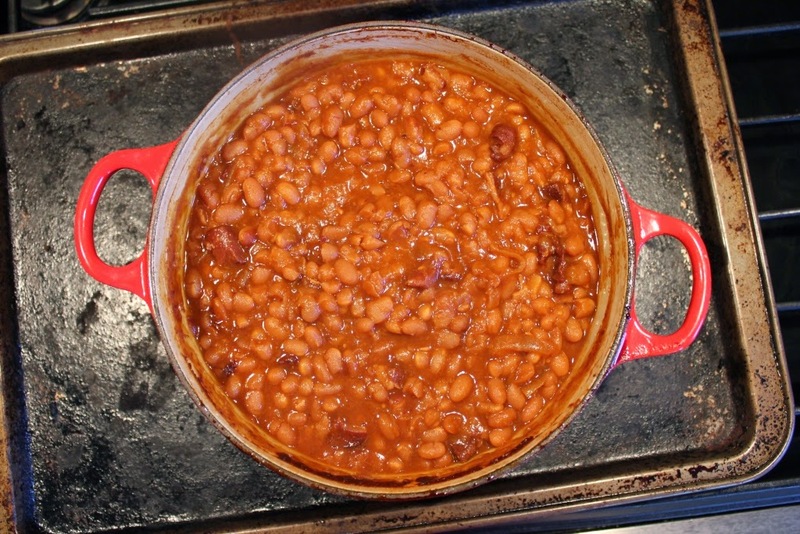 I have to admit that my love of baked beans did not occur until I was in my 20's. Make no mistake they were a staple in the household, I just opted for Kraft Dinner. Bit by bit, I started to love this dish and now order it in restaurants, make it myself or beg family members to make it as a treat. 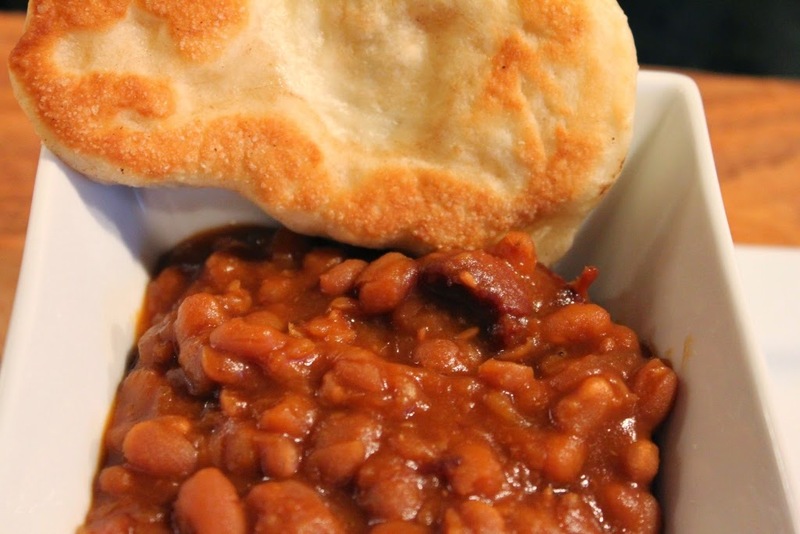 It's nutritious, it's delicious and a relatively inexpensive meal for a family. 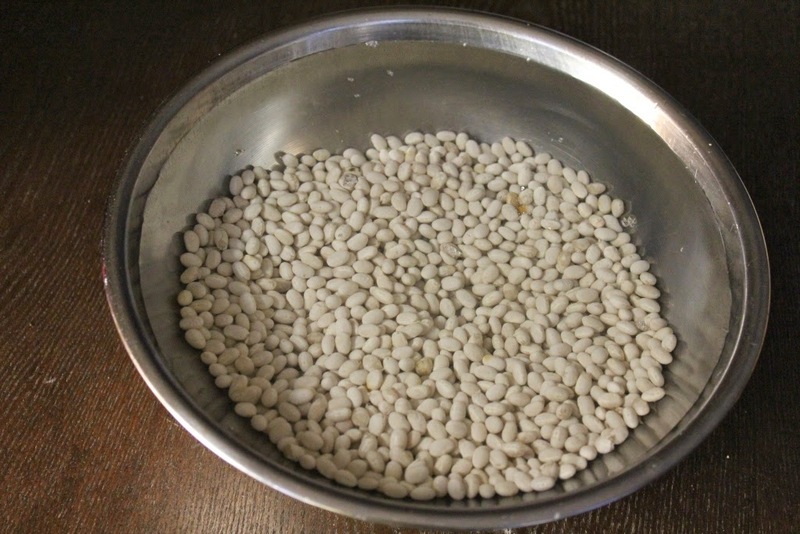 Remember to take out the beans to soak the night before... I say again. THE NIGHT BEFORE. 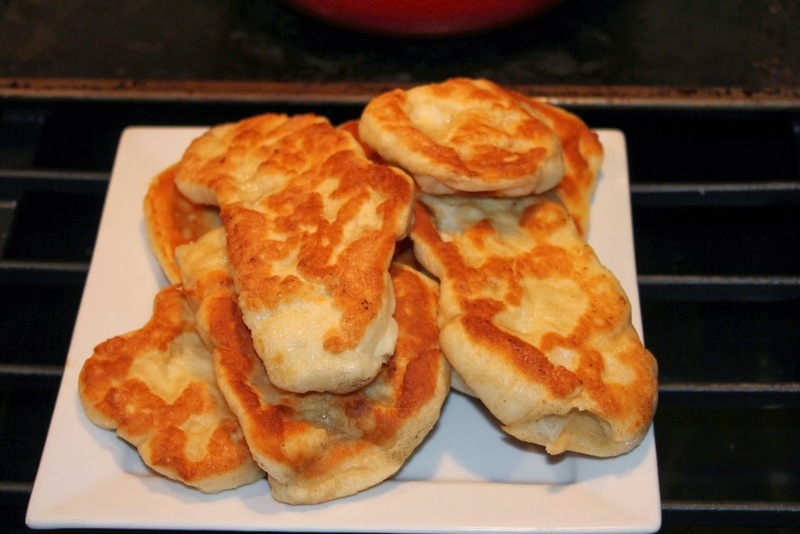 Toutons... What they heck are they? 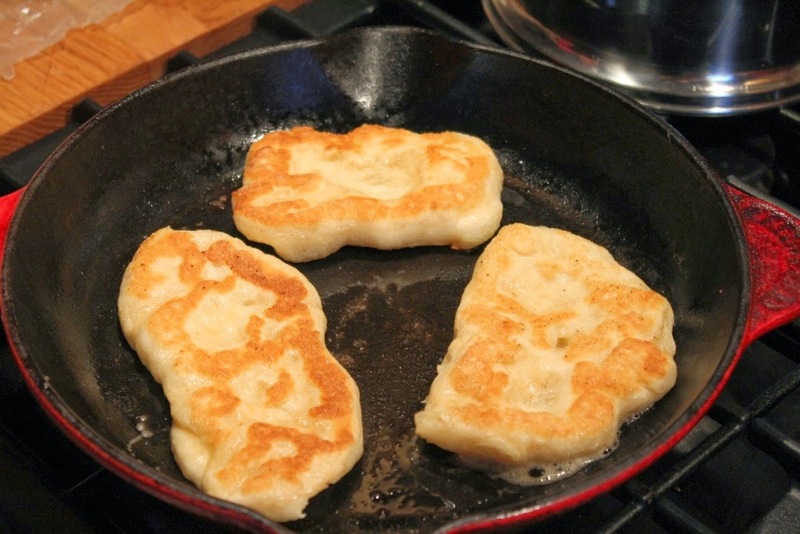 Also known as Tiffins, they are essentially bread dough fried in butter (or pork fat). 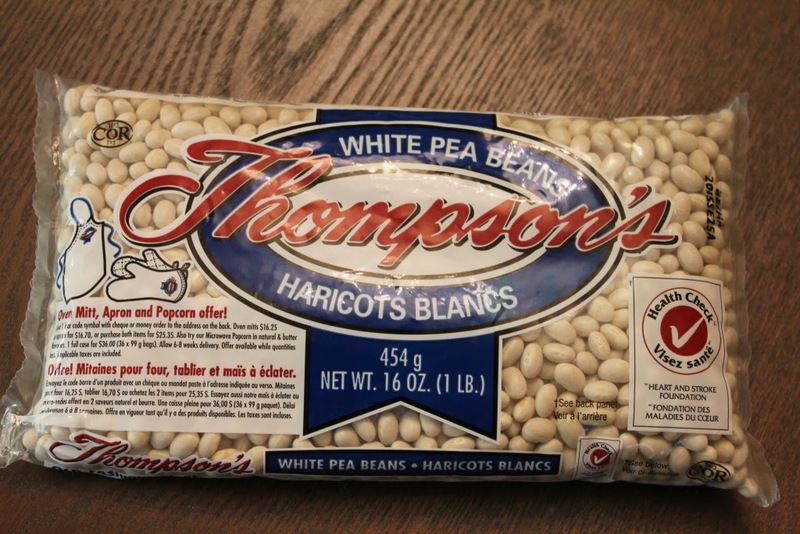 They puff up and are most often served with Molasses. I tell you, any self-respecting Newfoundlander will admit that this is probably the best thing they've ever put in their mouths. EVER! 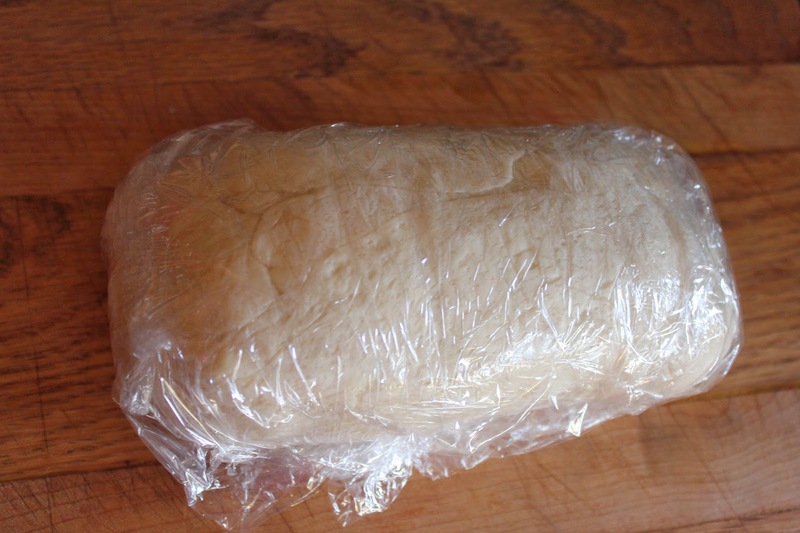 I make my own bread dough but many grocery stores have some in their freezer section. I digress. On with the show. The Night before you plan on making the beans. 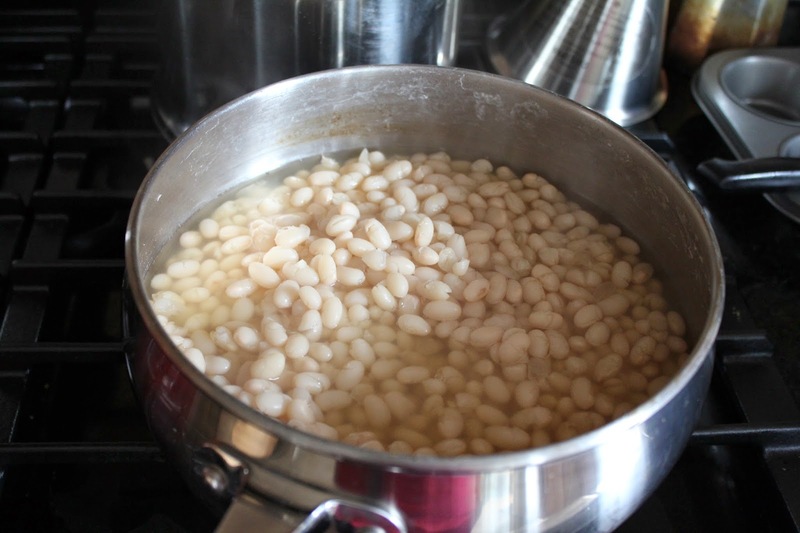 Take 2 cups of white bean and put them in a bowl with 6 cups of cold water. Beans the next morning - See the expansion? 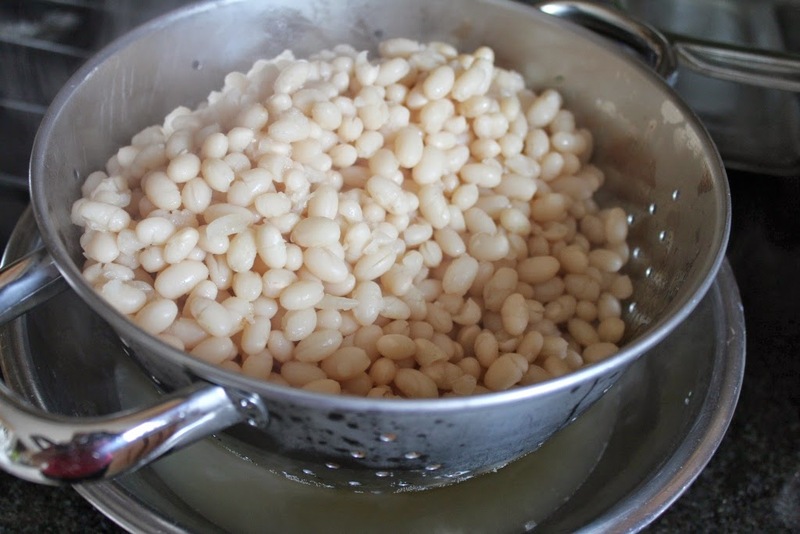 Take the soaked beans, strain them and put into a large pot. 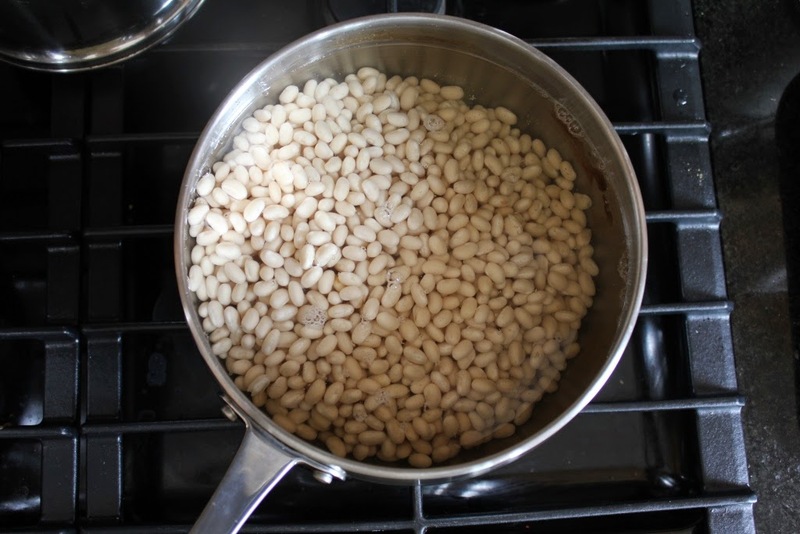 Top with another 6 cups of water and bring to a boil, lower to simmer and leave for 90 minutes (until the beans look softer). About 60 minutes in, it's time to cook up the bacon. You can honestly use any type, they bring their own flavour to the dish. 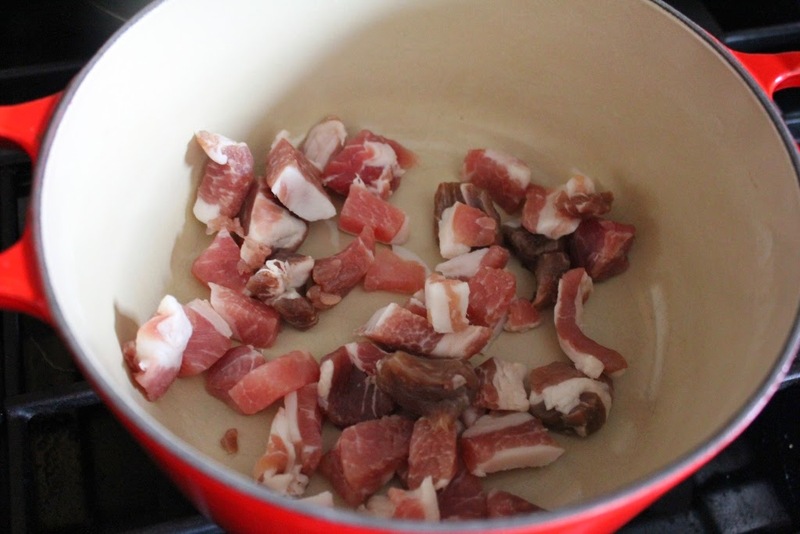 In this case I used English Bacon Ends from a local (and excellent butcher) Getaway Meat Mongers. 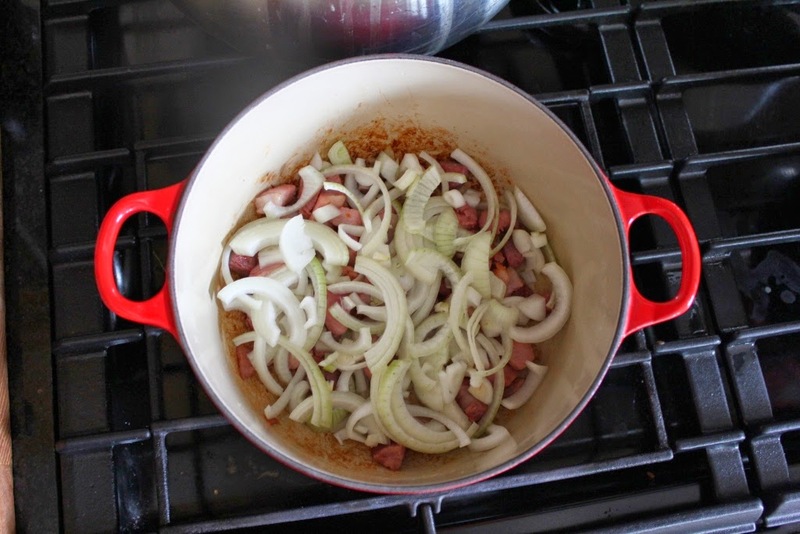 Lucky for me I have a Dutch Oven so I can use it on the stove top to cook the bacon. If you don't, never fear, just fry it up. Slice an onion fairly thinly while waiting for bacon to cook (and render down). Once the bacon is cooked (and remove the excess fat if there is a lot), then layer the onion on top. Strain the beans but reserve the liquid. You will use this shortly (and throughout the cooking process). 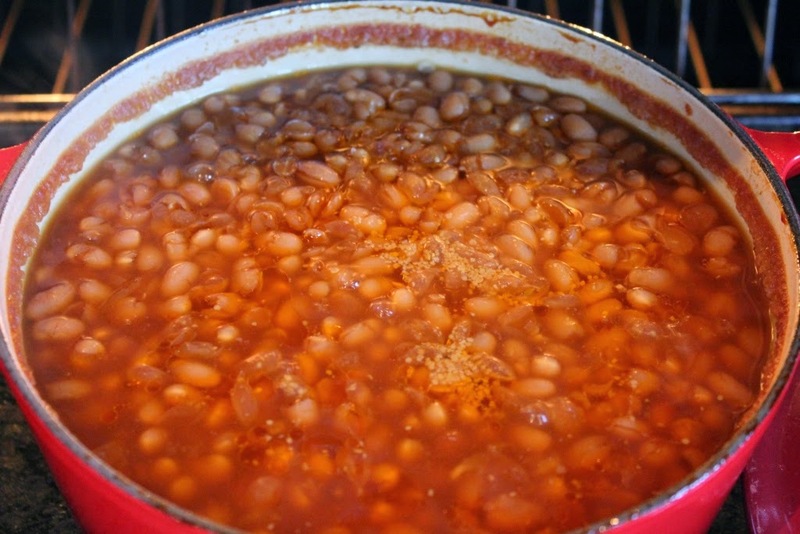 Layer the drained beans on top of the bacon/onion combo. Now on to the saucy part of this dish. 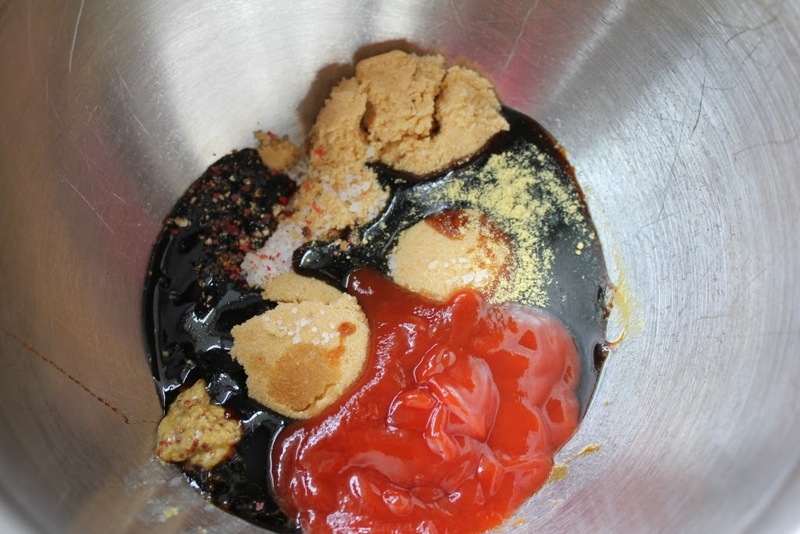 Take the brown sugar, molasses, mustard (both types), salt, pepper, ketchup and mix together. Take 2 1/2 cups of the reserved bean liquid and mix together. 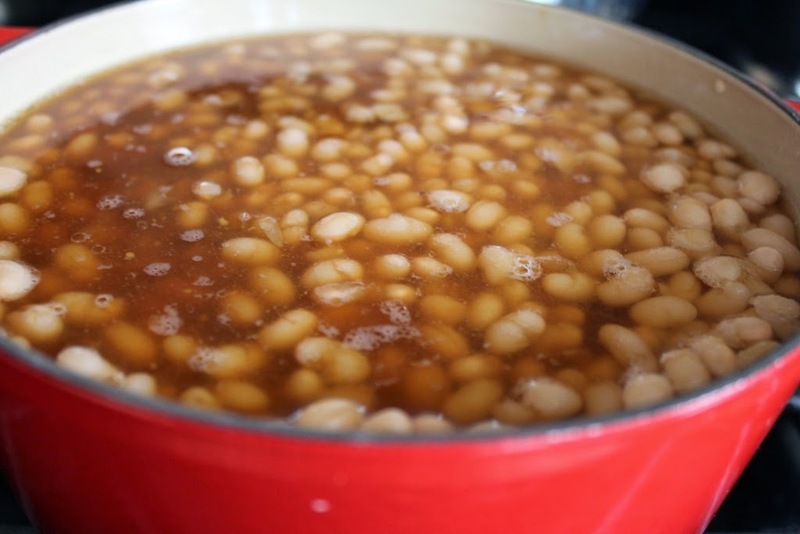 Pour sauce over the beans. 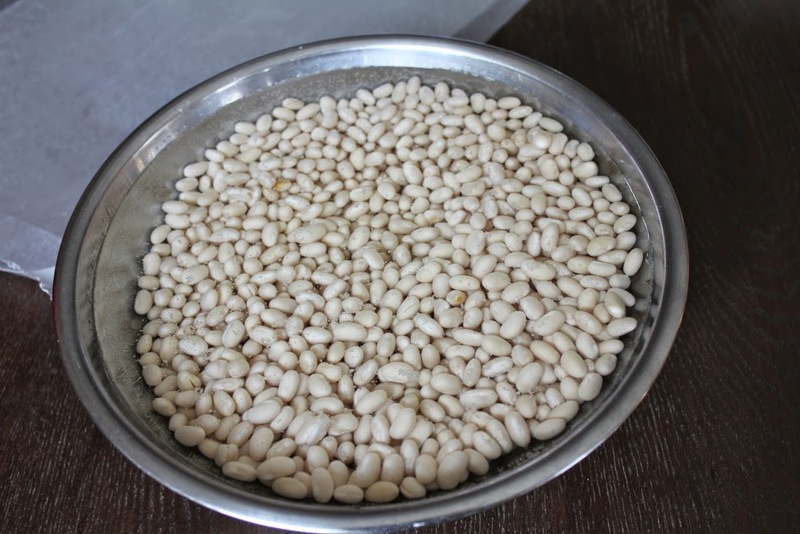 If all beans are not covered, take the rest of the bean liquid (or if all gone, cold water) and bring to just above the level of the beans. 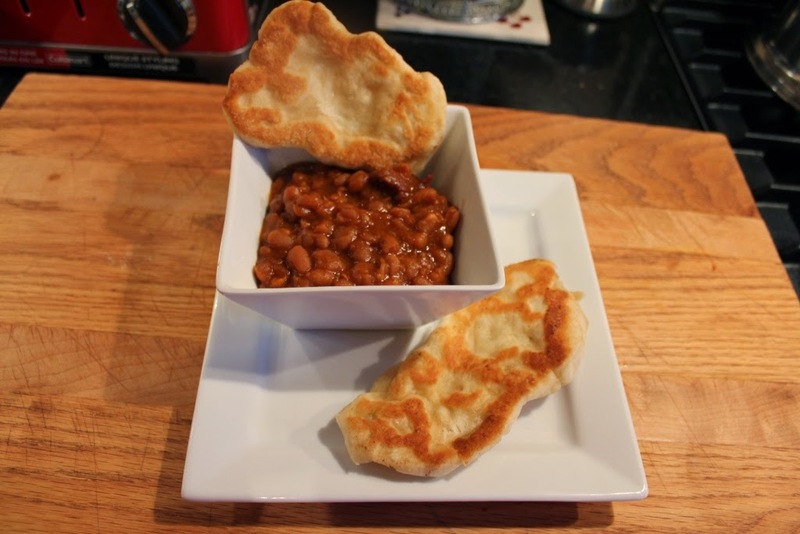 Put cover on bean pot and place on any old cookie sheet. Pop in oven for 5-7 hours. Mine took 7. 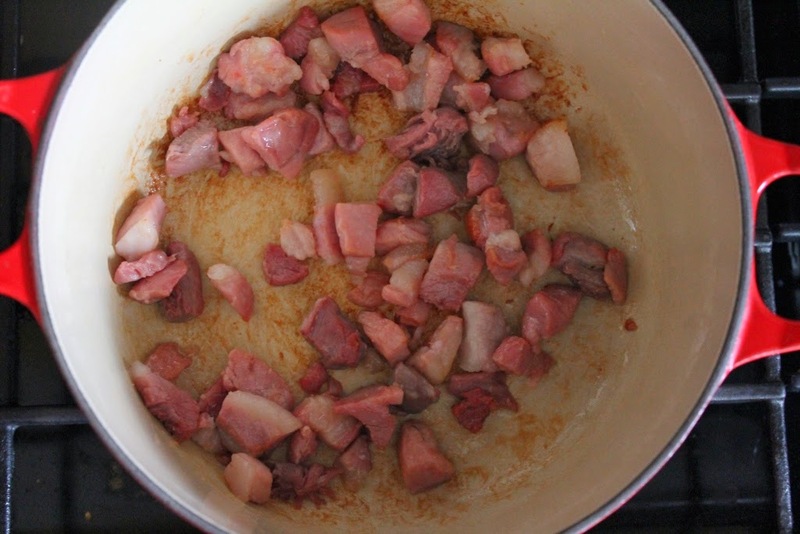 About 45 minutes before the end of cooking, take off the cover to let brown and sauce thicken. Remove from oven and put lid on to keep warm. 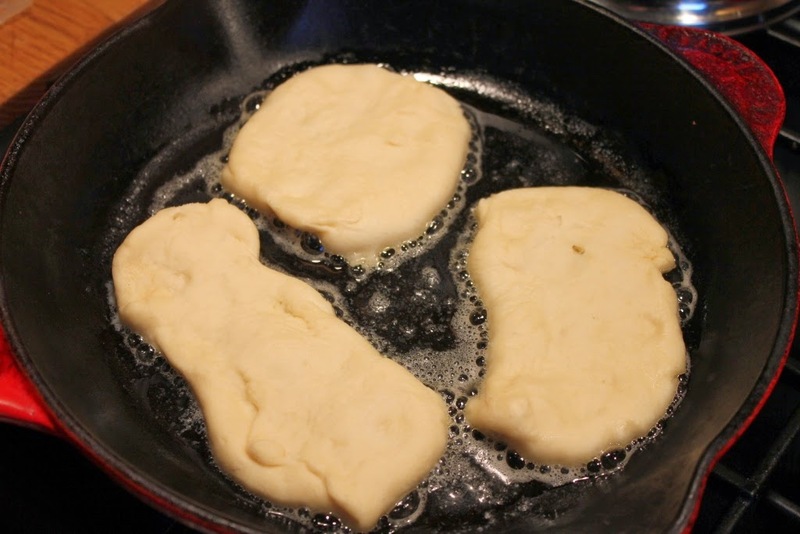 I recommend that if you plan to make toutons (from chilled or frozen dough) that you take it out in enough time to come to room temperature plus 30 minutes. The dough will rise some. 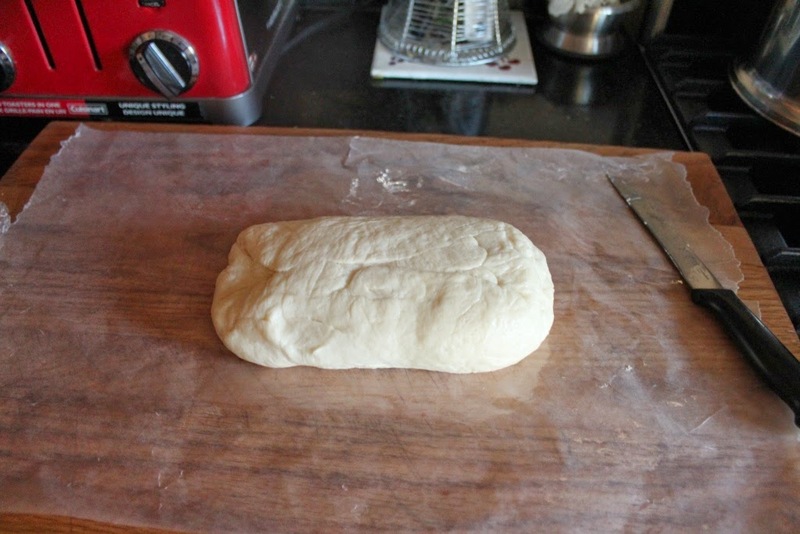 Now cut pieces of dough and stretch it out into a circular-ish or rectangle-ish shape. 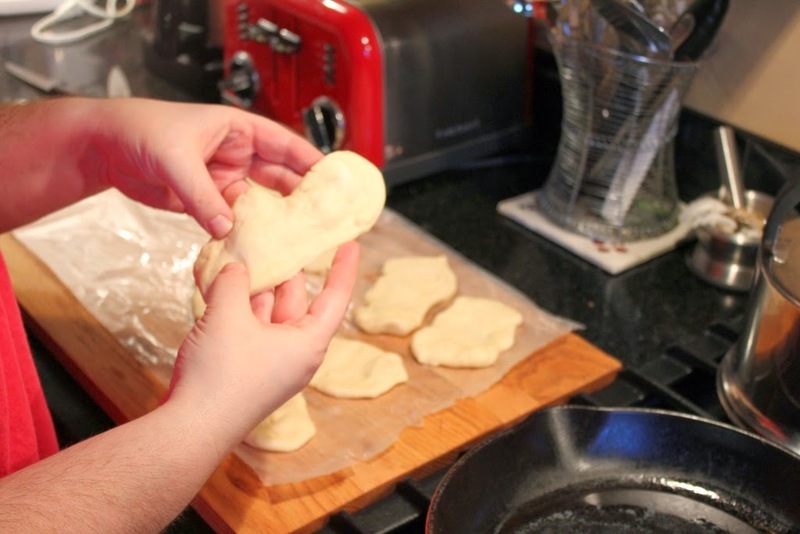 They shouldn't be really thick (as the dough has to cook through). 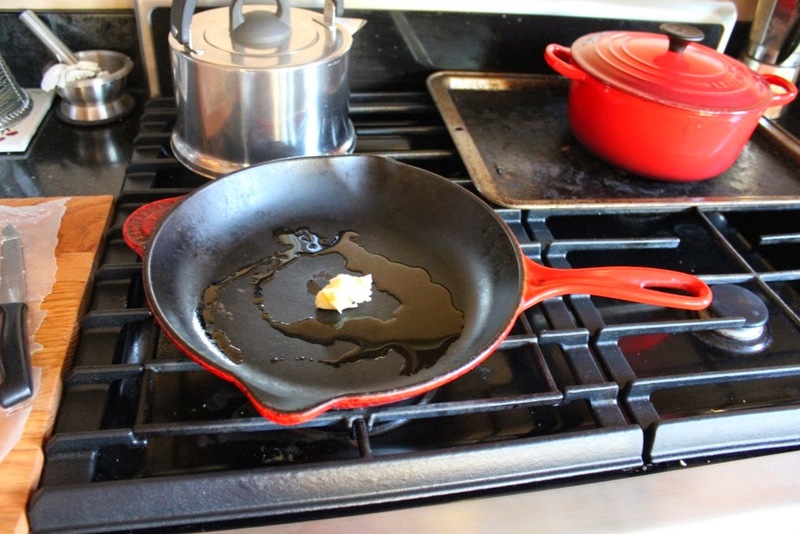 Now get your frying pan ready. I used 1Tbsp of oil plus 1 Tbsp of butter. Heat on Medium. 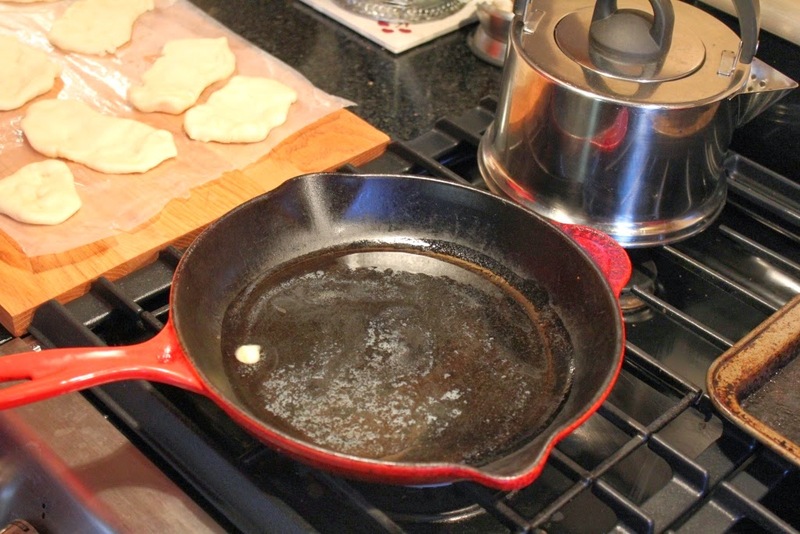 Put dough in pan but don't crowd them (like pancakes). 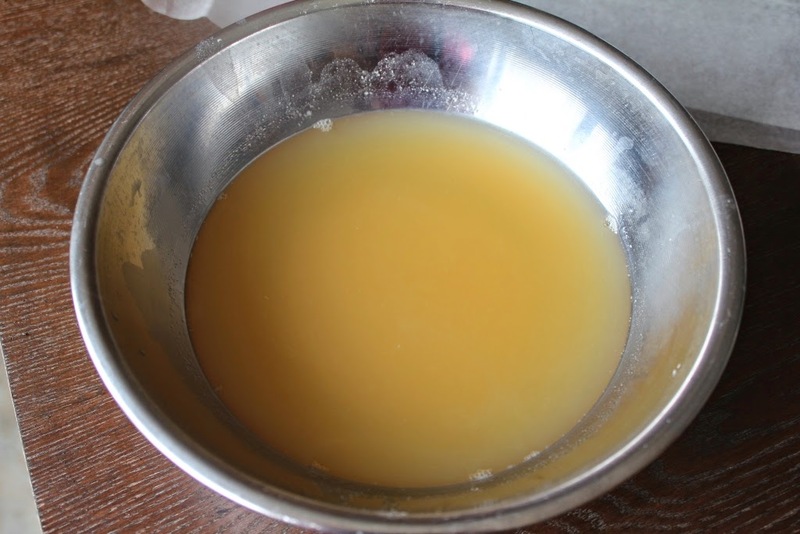 Once golden on both sides, remove from pan and serve immediately. 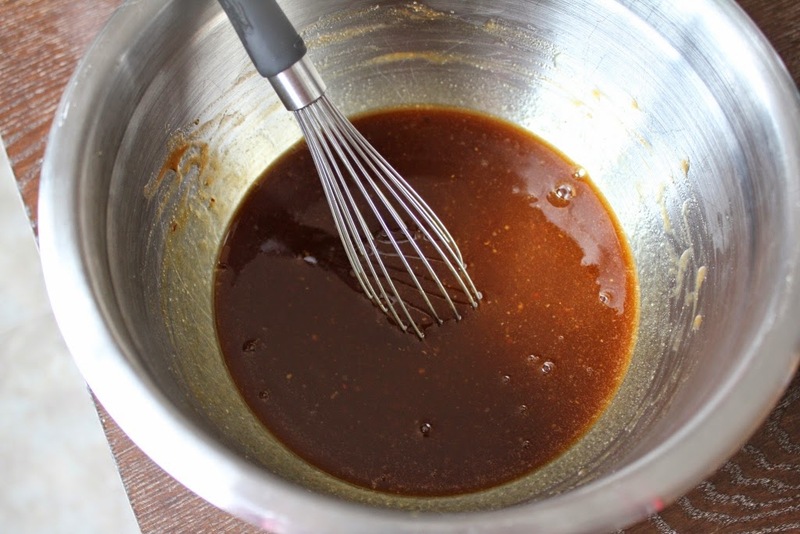 Top with molasses, jam, syrup - whatever you wish. I used as a bread accompaniment to the baked beans. I scoop beans and put on the touton. So darned good. There you go... 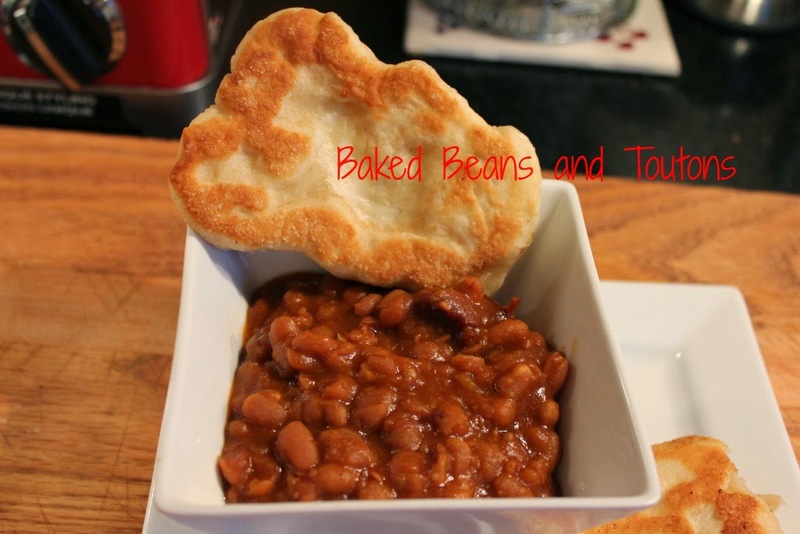 Baked Beans and Toutons. 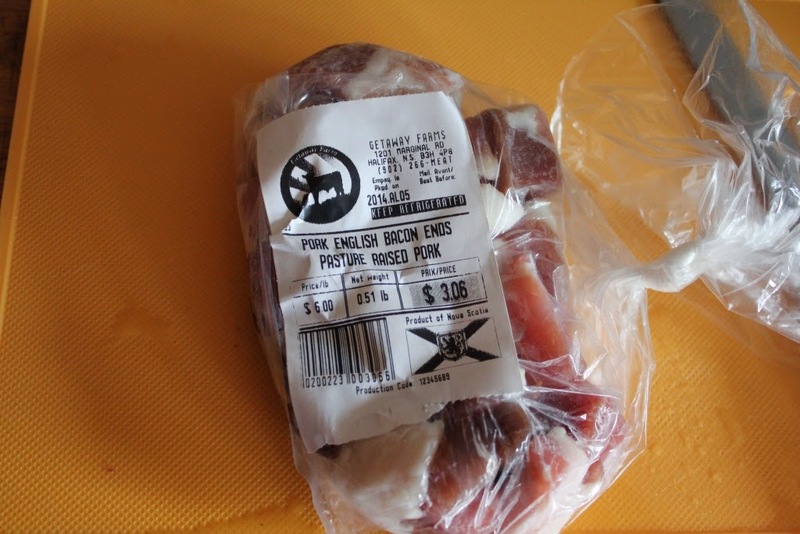 My grandparents are Newfies and I could see my Nanny using salt pork instead of the bacon. Would that work too? Oh my glory, YES! Salt meat/pork would work just as great. You would have to soak the meat first and toss off the water. Lori, So glad I found your blog! 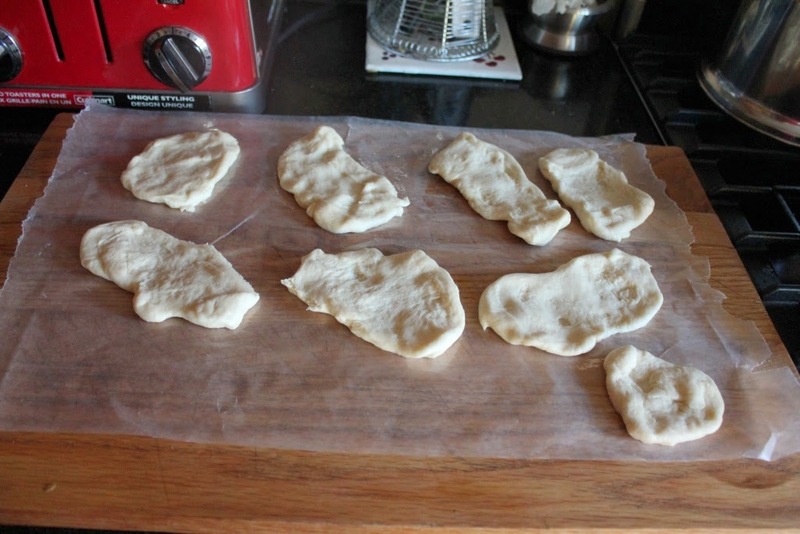 I look forward to more recipes and gardening posts.....makeup... not so much ;-) I remember Colleen (the ex) talking about toutons... she was born in the Conception Bay area. They look easy and tasty. I'll have to give them a try with my own baked beans recipe.